In the Model Matzah Bakery, children learn how Shmurah Matzah is made. 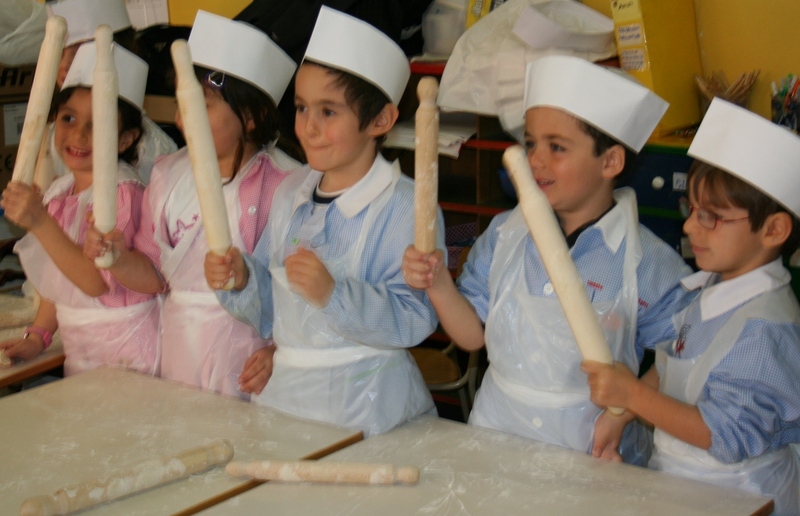 Dressed in baker’s hats, children mix the flour and water into Matzah dough. Then the dough is rolled out, and riddled full of holes with special Matzah perforators. The matzot are rushed to the “brick” oven in the hope of baking the entire batch of Matzot in just 18 minutes. (however, these will not be for kosher for Pesach). Since the Matzah that the children produce themselves will not be kosher for Passover each child will take home an individually boxed, full-sized, delicious Shmura Matzah that is Kosher LePesach. The Model Matzah Bakery is guaranteed to generate excitement for Pesach and a renewed appreciation of Matzah Shmurah!